As the mother of a toddler who is a picky eater, my biggest worry is to pack maximum nutrition in a small meal. I don’t like processed food, so I prefer whole wheat flour for baking. This is a recipe from the Food Network. I substituted all purpose flour with whole wheat flour and loved the outcome! The bread turned out moist, had a great flavor of banana (I use 2x banana than most suggested recipes) and above all, this is super healthy. 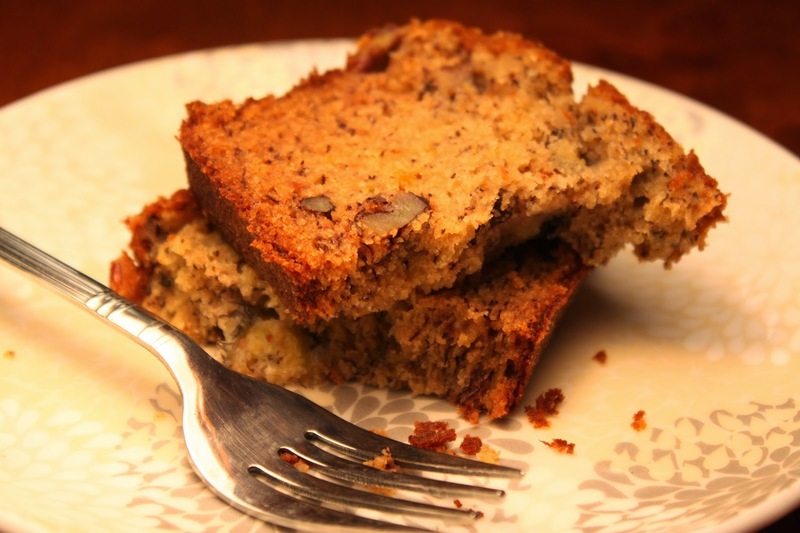 I have tried several recipes over the past few years and this one, by far, bakes the tastiest and healthiest banana bread. Plus this recipe requires very few ingredients. 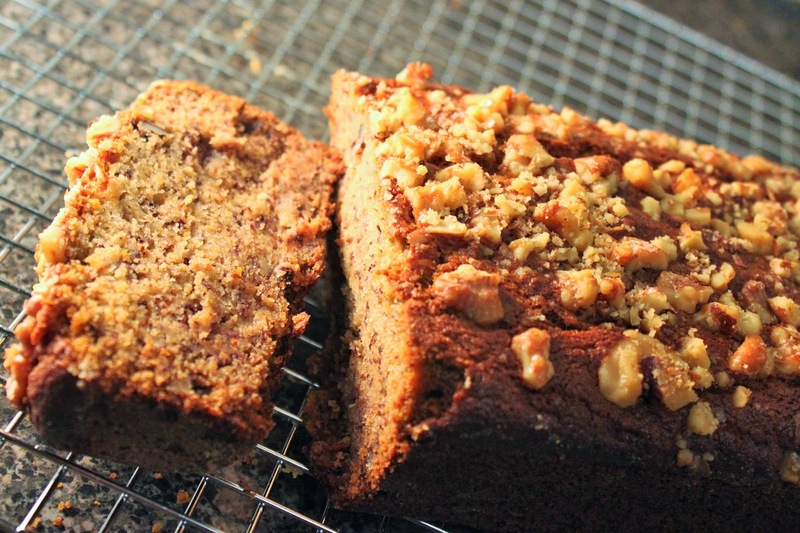 You could replace pecans with walnuts and it would taste the same. I prefer pecans for their dense flavor.